Of all the herbs and roots that might be considered “exotic”, ginseng is probably the most popular. I know when I have conversations with people who don’t have an interest in alternative medicine its name seems to pop up the most. For whatever reason it’s embedded itself in the popular vernacular when it comes to superfoods. Let’s slay the mistaken perceptions, shall we? Ginseng isn’t one particular plant or root, or even a particular family of plants. It’s just a collection of various shrubs across the world that are labeled as a form of ginseng when they exhibit some effects on human health, and even those are varied. Originally ginseng referred to a family of plants called Panax ginseng. Panax plants are also known as American Ginseng and Red Ginseng. The other types got their name and were discovered to have remarkable health benefits. Given the popularity of the ginseng name, it was the easiest way to label them. Keep in mind that not *every* form of ginseng does this, and ginseng does not have these benefits beyond the shadow of a doubt. All I’m saying is that there have been at least a few well conducted studies or thereabouts that have demonstrated an ability for some type ginseng to have these benefits on some margin. In many cases the doses you’d have to take of ginseng to get the desired effects would probably be much larger than what would be comfortable, and maybe even dangerous. So with that all said here are the major types of ginseng that you can consume at your local health food store. Red Ginseng – Panax Ginseng – The original one. A good metabolic regulator that seems to perk up your cells in a variety of environments, including some forms of cancer. Indian Ginseng – Withania Somnifera – Has a variety of neuroprotective effects, might improve some forms of cognition, and likely a powerful anti-oxidant and anti-inflammatory. Siberian Ginseng – Eleutherococcus Senticosus – Particularly good at allowing your body to cope with metabolic stress. Cellular regulator, and provides a sustained energy boost/improvement in physical performance. Also called eleuthero root. Brazilian Ginseng – Pfaffia Paniculata – Seems to improve physical performance somewhat, a few anti-cancer properties, and likely scavenges free radicals within the body. 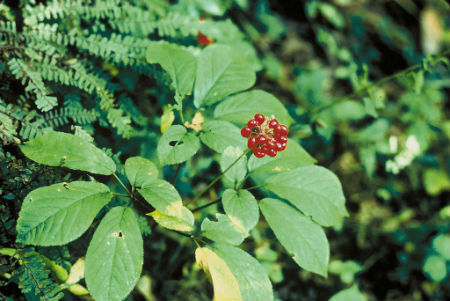 Among these plants, american ginseng and red/korean ginseng are the only two that share the same two taxonomies. The rest were given the name ginseng because it’s a popular term. In general all of these plants are considered an “adaptogen”, which is a type of herb that mediates metabolic stress within the body. I’ve written about adaptogens before. To this effect they have similar physiological properties, but I’d be careful about substituting one for the other if you’re consuming it for a specific health purpose. In general the health benefits of ginseng range from “probably true” to “hard to say for sure, but things look promising.” The claims about sexual performance are mostly speculative at this point, and the links between digesting different types of ginseng and improved athletic performance are pretty anecdotal. Nothing to get too excited about. If there is a common theme among the different ginseng plants it’s their ability to help mediate different types of cellular functions within the body. Your body’s ability to react to physiological stress seem to perk up when it takes ginseng. You want to take it in the right form. Often the nutrients of a plant are localized to a specific part of the plant (roots, leaves, bark, etc). In the case of ginseng, somewhere between 200-500mg one to two times a day seems reasonable. This falls into the range that was used in most studies that have revealed favorable results but is still considered safe. Ginseng for the most part seems benign, but I know of two studies which have found Brazilian ginseng to cause discomfort if taken in amounts greater than what I recommended. (See references 7 and 8). Of course, use your own judgment and remember that I am not a doctor and I’m not giving medical advice! Better to be safe than sorry! Also be careful if you’re mixing and matching different herbs that are metabolically potent. I know in the past I have made myself nautious and tingly from taking different herbs together. 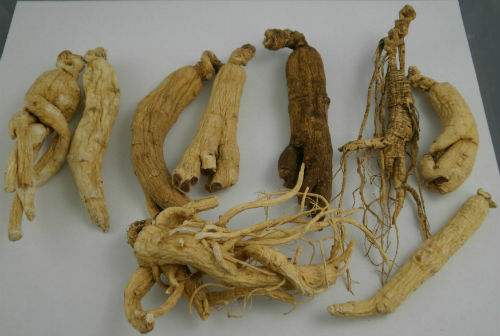 The nutrients of the ginseng plant are typically found in its roots, which you can see below. This is true for all types of ginseng. For this reason I like to take a ginseng supplement only if it specifically states “Brazilian Ginseng root”, or something similar. The phytonutrients found in ginseng are not available in the leaf. I don’t recommend taking an extract that’s isolated ginsensides or something similar. Isolated nutrients are an iffy bet. Ginseng root that’s ground into a powder is the best bet if you want optimal nutrient absorption. If you’re looking for a recipe idea to use with ginseng then consider my homemade energy drink which utilizes Brazilian and Siberian ginseng as part of its formula. Ginseng has been around as a supplement as long as supplements themselves have been around so it shouldn’t be all that hard to find one. 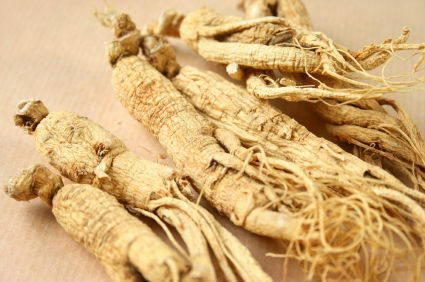 However, ginseng root powder that’s high quality can be a little harder to come by. So here’s a handy reference chart for the price of one pound of the different types at three retailers where I buy a lot of supplements from: Amazon, Star-west botanicals, and Mountain Rose Herbs. 1). It’s best to buy your herbs from a retailer that specializes in them. The products are obscure enough that even large all-in-one retailers won’t carry them in sufficient quantity to get a good price. 2). If I had to I’d buy siberian/brazilian/indian ginseng. What’s ironic is that these types of ginseng are not the Panax form, so you could argue that they shouldn’t even count. However, the benefits of the latter three are just as proven as American and Korean ginseng. I sprinkle eleuthero root in my green tea in the morning and can immediately tell a difference in energy throughout the day. It’s a proven adaptogen. Most people buy different herbal supplements because of a particular conditon they’re looking to make go away. Anyone who sells herbal products knows all about the typical questions you get when talking with an interested consumer. If that’s your reason for looking at different types of ginseng, here’s another handy comparison table to let you find the best type of ginseng for your particular need. (Note: I am not a doctor! This does not constitue medical advice! Just my own findings from my own research. Treat it however you want). Type of Ginseng Physical Performance Sexual Performance Anti-oxidant Anti-inflammatory Neuro-protective PossiblyDangerous? I worry that some of you might interpret this table in the wrong way. It’s not gospel, and the ability of ginseng (or any herb for that matter) to significantly alter any condition is moderate and will require consistent dosage….more than what you’d get in an energy drink (and yes, energy drinks claiming the presence of ginseng are scammy). So, with that said….I hope this is helpful, and please let me know if you have any questions! Mishra, Lakshmi-Chandra, et. al. Scientific Basic for the Therapeutic Use of Withania Somnifera (Ashwagandha): A Review. Panossian, A, et. al. “Plant Adaptogens III. Earlier and More Recent Aspects and Concepts of Their Mode of Action” Phytomedicine. 1999 vol. 6(4) pgs. 287-300. I began taking it and the RLS has stopped. Nothing for the neuropathy. Any thoughts please. Have you looked at all into nootropics? They might be good for neuropathy. Just a thought. Very informative! Thank you!! I think I will go with the Brazilian Ginseng. I am a little concerned that you may feel it can be dangerous, but it has all the benefits I am looking for. This article is really interesting and I have heard about ashwagandha before. My question is as follows. 1. How do I make sure that I am taking between 200-500 mg of the powder daily? 2. As you mentioned about different Ginsengs, and buy the last three, now how to take these? Take only one type a month? or mix all three and take 200-500 mg each day of the mix? Please help. The easiest thing would be to buy ashwagandha capsules with specific dosages. I wouldn’t take all of them at the same time….there could be some interaction effects. Thanks Jonathan, Which company capsules I should try? ALso I want to start with Brazilian Ginseng. Please let me know if there are any capsules come in that. Can my wife also take this? I found following: How is that? Those look like blends with a few different herbs. Some of them ginseng, some of them not. 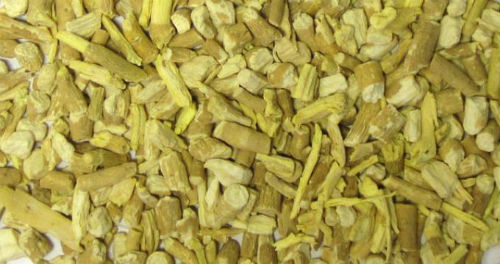 i heard from a study that American Ginseng helps people with Diabetes type 2. That is true to a small degree, likely due to an antioxidant/anti-inflammatory effect of American ginseng. Can i put it in porridge or in a juice blended? Hello, enjoyed the ginseng page. Why do u say Brazilian is potentially dangerous? Ginseng has reported side effects for some people when taking more than a few grams a day. This is in contrast to something like ashwagandha, which has been taken at doses up to 5g with no reported side effects. question: no 1 of them offer all of the desired effects that Im looking for can you take 2 different ones combined?? I would like one to improved physical performance, anti inflammatory an for neuro/cognitive improvement. just a little concerned about mixing them thanks. At doses lower than 250-500mg each you ought to be fine mixing them. I use to purchase Korean Ginseng, a black tar extract came in a wooden box with supposedly labels from Korea sealing the box. Inside was a small ceramic jar with a white plastic spoon, I used to mix a couple of these spoons in hot water to make a tea. Is this a quality type of the product. I tried looking for it again in local health supplement stores and can’t find it. I have type 2 Diabetes now and want to see if this will help with my blood circulation. And came across the herb female ginseng origin China, I am struggling to find it or to find another name for it, it’s meant to have rejuvenating properties and I am also looking for Yohimbe bark extract. Just wondering if you have herd of them and might know other names for them or even where I can get them. Which one is better for an athlet?? Is it beneficial for him?? Hi afsal. Try panax ginseng. But in the table it’s noted that panax ginseg does not give physical performance. Hi. Nice article. Clearly written, too. Just a quick note, though….. Your third reference (Tohda, Chihiro, et. al. “Scientific Basis for the Anti-Dimentia Drugs of Constituents from Ashwagandha”) has the word “dementia” misspelled. There is no “di” in “mentia”. The prefix “de” means “to have removed”, which is what dementia is…. “de” (removal of) “mentia” (mind, mental capacity). Still time to edit it! Just above your picture of ginseng roots (about half way through the article) you note in a paragraph that mixing and matching herbs made you “nautious”. As in things “nautical”? Actually, there is no such word as “nautious”. It’s spelled “nauseous”, from “nausea”. As a source for this kind of info, correcting this little typo will keep the overall appearance as professional as the rest of the article, which was quite helpful. I liked your article, but I have a question, what is the best form to take korean ginseng for erectile dusfunction? I mean as form of tea or something else? I prefer concentrated Ginseng but I haven’t seen it in a while. How good are the different forms of Ginseng?